So you’re traveling to Newport, Rhode Island for a weekend. And you know you want to explore the stunningly beautiful Newport Mansions. One problem: there are ten properties owned by the Preservation Society of Newport County, all open to the public to tour. So where do you begin? And what are the sites you can’t miss? Chris, Trevor, and I have spent lots of time exploring the Newport mansions (I’m a huge fan of each one I’ve seen, for different reasons!). So we’ve put together a guide to the top four Newport mansions you can’t miss. Each one offers something special and unique. And selecting about four properties for the weekend is what we’d recommend. This will allow you to explore the best of the Newport mansions, while also offering time to enjoy all the rest that Newport has to offer: gorgeous beaches and sunsets, harbor sails and cruises, fresh seafood, and shopping near the harbor! Let’s begin with The Breakers, which is the most well-known (and the most over-the-top extravagant!) of all of the Newport Mansions. 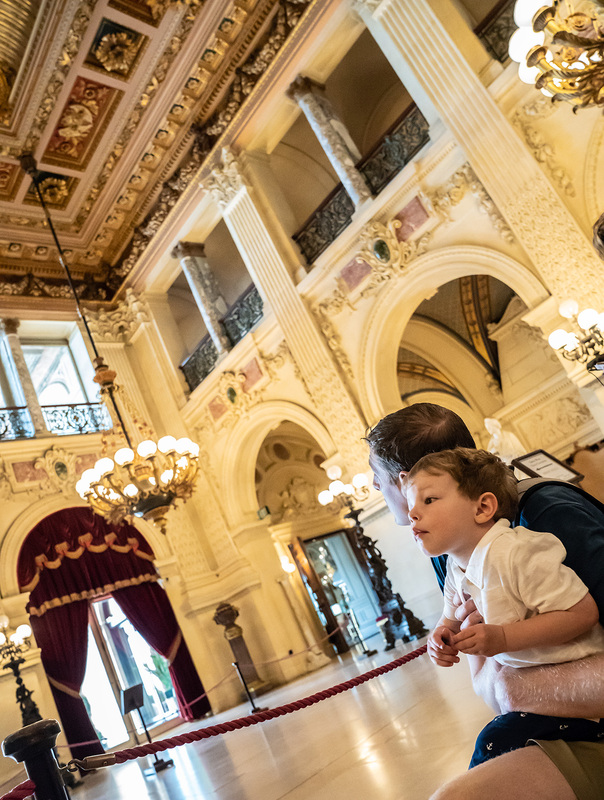 The Breakers was built by a member of the Vanderbilt family in the late 1800’s and it’s now open to the public to tour every day of the week. 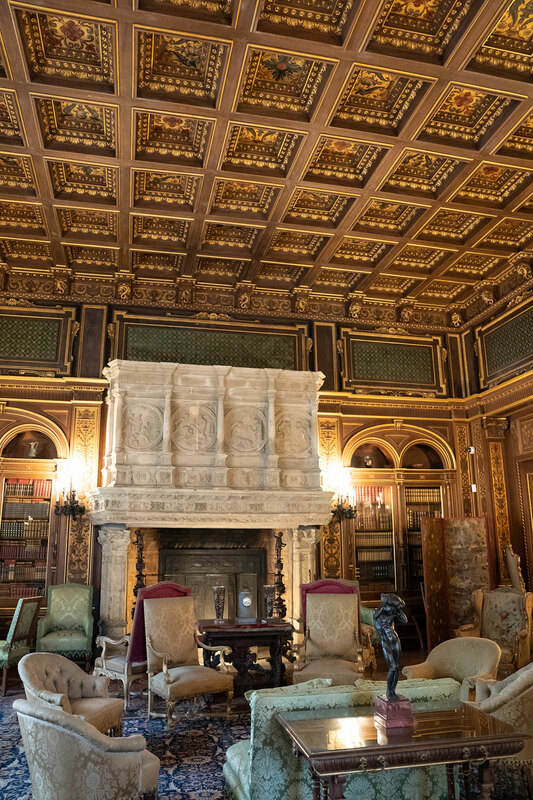 Visitors to this Newport Mansion can purchase tickets and then wander many of the 70 rooms of The Breakers, which are jaw-dropping in scale and opulence! Each of the rooms is decorated with ornate furnishings, including fine draperies, sculptures, furniture, even books on bookshelves. 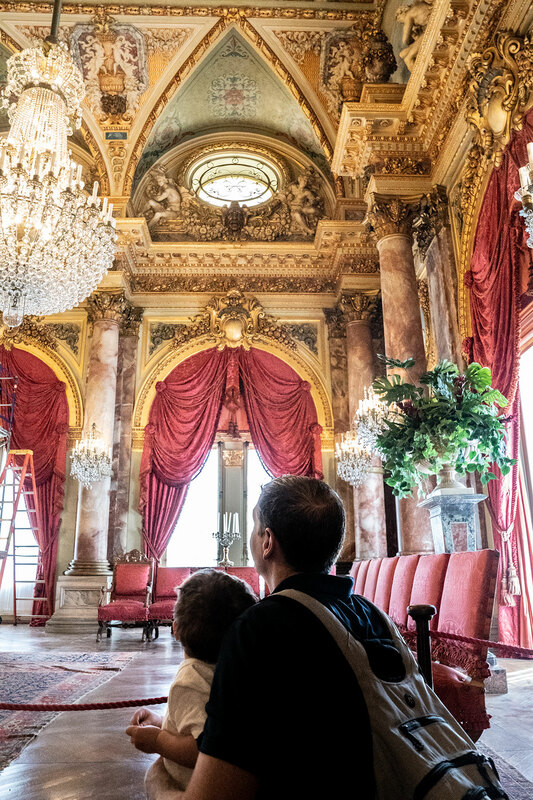 So you’ll feel as though you’ve stepped back in time and you’re a summer guest to the Vanderbilts as you wander from room to room. After touring the jaw-dropping interior, visitors can wander outside to admire the stunning beauty and scale of The Breakers. Stroll across the manicured lawns and the gorgeous gardens, and then take in the incredible, sweeping ocean vista. 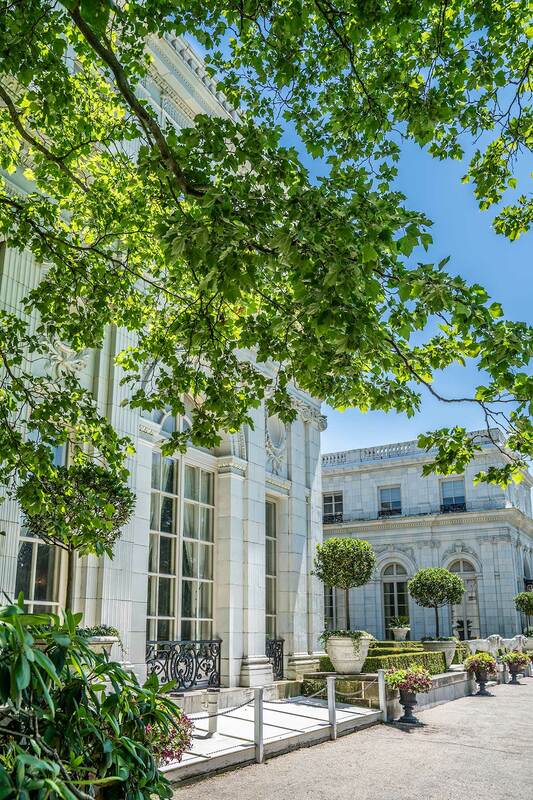 The Breakers offers the most stunning ocean views of any of the Newport Mansions. 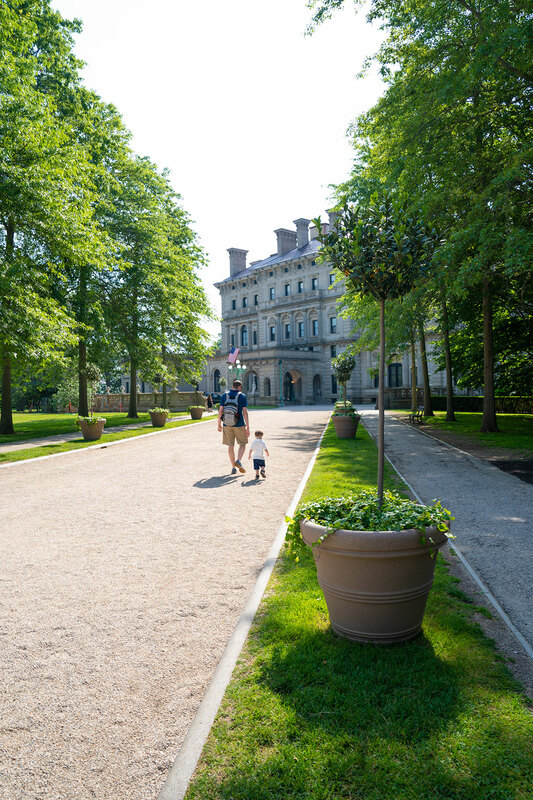 Tip: Being the largest and most famous of the Newport Mansions, The Breakers can get extremely crowded. Try to arrive at opening (typically about 9am) to avoid heavy congestion in the mansion and difficulty finding parking. 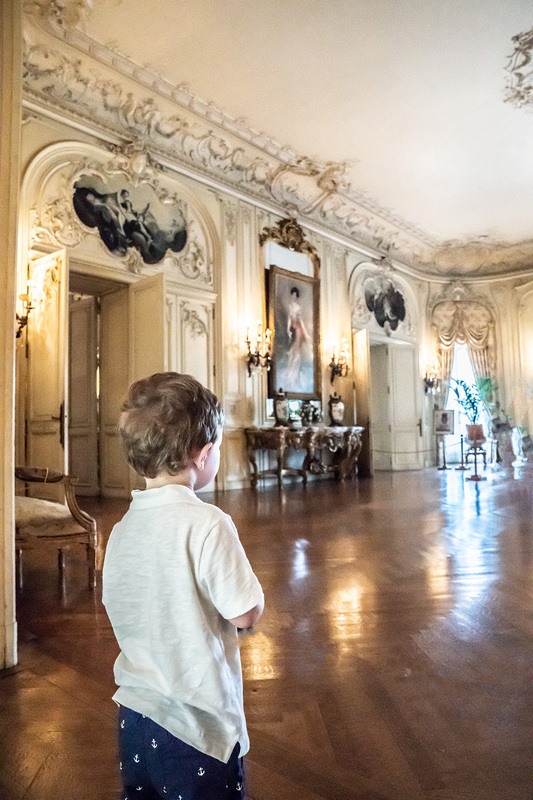 If you’d like to be transported to a French château during your travels to Newport, check out The Elms. As soon as you drive through the ornate, tree-lined gates of The Elms, you’ll feel like you’re entering the French countryside. The Elms is similar to The Breakers in that guests are free to wander many of the rooms, each ornately decorated as they were well over one hundred years ago. …and the dark paneled dining room. Plus, lavish ball rooms and drawing rooms. All complete with Renaissance ceramics, ceiling frescoes, and European artwork and sculpture. There are two fascinating claims to fame at Rosecliff. 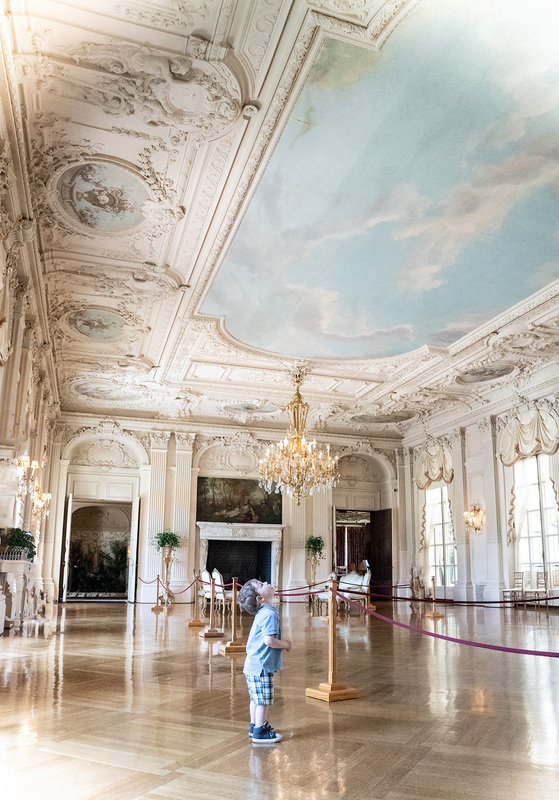 The first is that Rosecliff contains the largest ballroom of all of the Newport Mansions, and it’s really something to see in terms of its size and stunning beauty! There are many legends of the handfuls of extravagant balls that were held in this ballroom after Rosecliff was completed in the early 1900’s. The second interesting thing about Rosecliff is that several films have shot scenes in this mansion, including The Great Gatsby, Amistad, and 27 Dresses. And it’s no wonder! 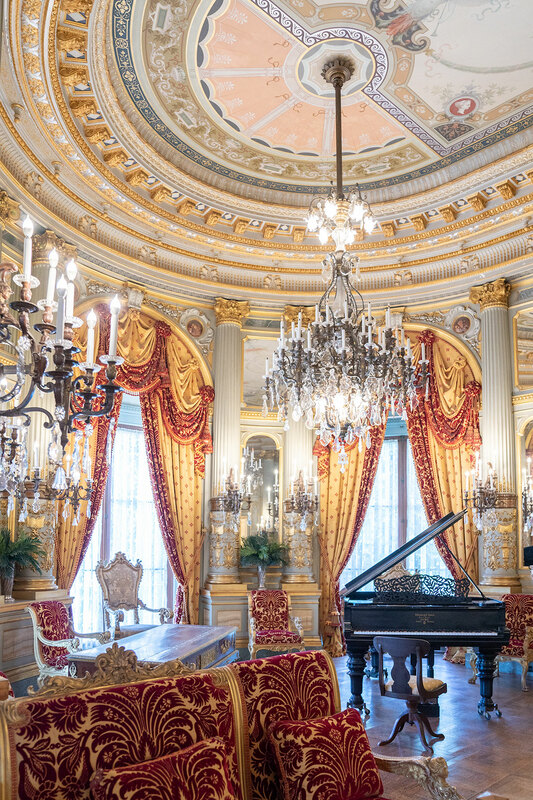 The mansion is modeled after the Grand Trianon of Versailles in France. And the property contains stunning gardens, both at the front entrance as well as behind the mansion, overlooking the expansive Atlantic ocean. One interesting thing about Rosecliff is that the exterior is actually made of brick and covered with white glazed terra-cotta tiles to resemble marble! 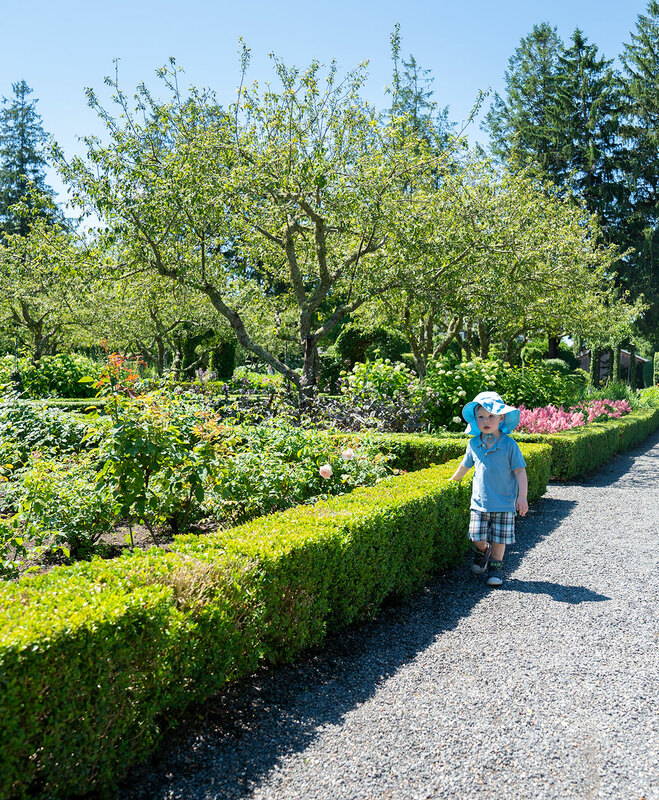 We love the Green Animals Garden because it’s unique and a break from all of the ornate palace-like mansions. The stars of the show here are the formal topiaries in the shapes of birds and animals, such as the giraffe shown here. The gardens are gorgeous and stretch for acres to beautiful Narragansett Bay. You’ll find vegetable and herb gardens and orchards. Plus lots of beautiful flower gardens in every color. There’s an arbor pathway, filled with vivid flowers, that’s so stunning. 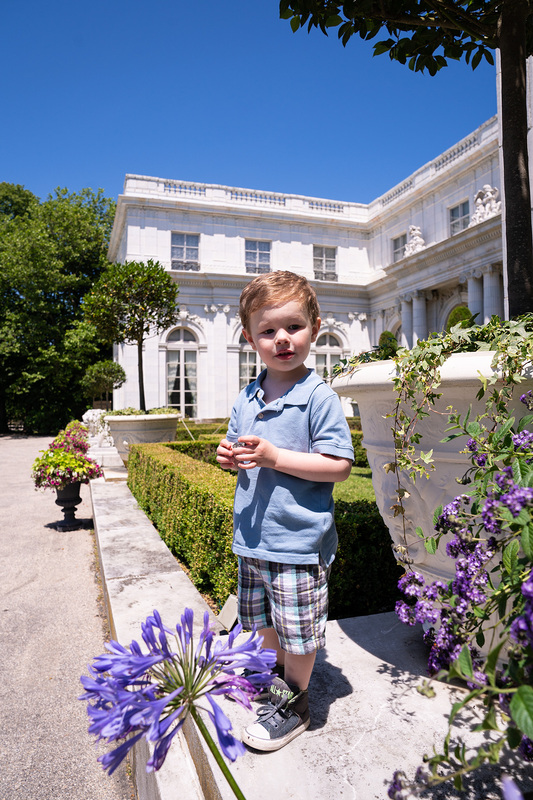 Check out the Green Animals Topiary Garden when you’re ready to get outside and see something completely different from the other Newport mansions!